If you have any questions in regards to any of the services we offer or any of the conditions we treat please don't hesitate to get in touch. Your Discount Coupon will be automatically sent to you via email once you have confirmed your request. By continuing to browse the site you agree to our policy. To view our policy please click here. When I first came to you, I could not put weight fully on my knees and I found it difficult to walk. I was pleased that after only three weeks I felt a difference.I can now take long walks. I can also play my sports without pain. I would certainly recommend you to anyone. Don't continue to suffer in pain... Contact us now! Park View Clinic provides expert care to patients of all ages, 6 days a week, and are open until late. 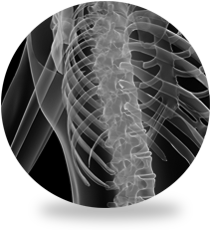 Our team of osteopaths are experts a treating chronic and acute back pain. 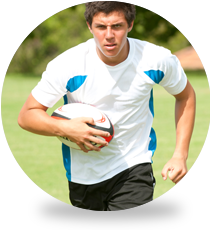 At Park View Clinic we specialise in treating recreational and professional sportsmen and women. 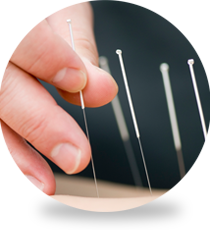 Acupuncture is a traditional technique used to relieve tension and pain caused by strained muscles.